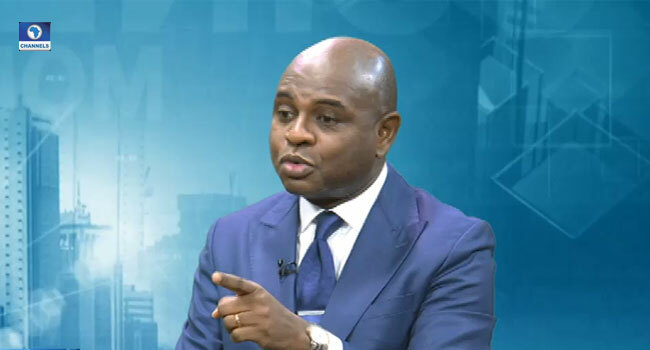 The presidential candidate of the Young Progressives Party (YPP), Professor Kingsley Moghalu, says Nigeria’s value system has been corroded. He stated this on Monday while reviewing his book on Channels Television’s Business Morning. While criticising the Federal Government’s efforts in fighting corruption, Moghalu vowed to curb the menace if elected as President. The YPP candidate, who is also a former Deputy-Governor of the Central Bank of Nigeria (CBN) also criticised the All Progressives Congress (APC) and the opposition Peoples Democratic Party (PDP) for not doing well enough to fight corruption. He accused the current administration of not being sincere with its promise to fight graft, adding that it is selective in corruption war. Moghalu added, “We are playing political football in the fight against corruption. We advance partisan political interest. We want to make our party look legitimate because we want to say to Nigerians that they are corrupt. The presidential candidate of the Young Progressives Party (YPP), Professor Kingsley Moghalu. The presidential candidate, however, vowed to introduce some reforms in the fight against corruption. Part of the steps, he stated, include introducing ethics in the curriculum of schools across the country, ensuring that there is impartial accountability especially by public office holders among several others. In his book titled ‘Build, Innovate, Grow: A Vision for My Country’ that was launched on February 26, Moghalu discussed leadership in Nigeria and how to govern with strategy. The book also discussed the power of the nation’s youth; people in the diaspora; the country’s foreign policy; and the difference between economic growth, development, and transformation. According to him, he was inspired to write the book because, like many Nigerians, he was fed up with the situation in the country.